Social-emotional skills—also called "character strengths," "interpersonal skills," "noncognitive abilities," and (a misnomer) "soft skills"—have always been stressed by caring educators. 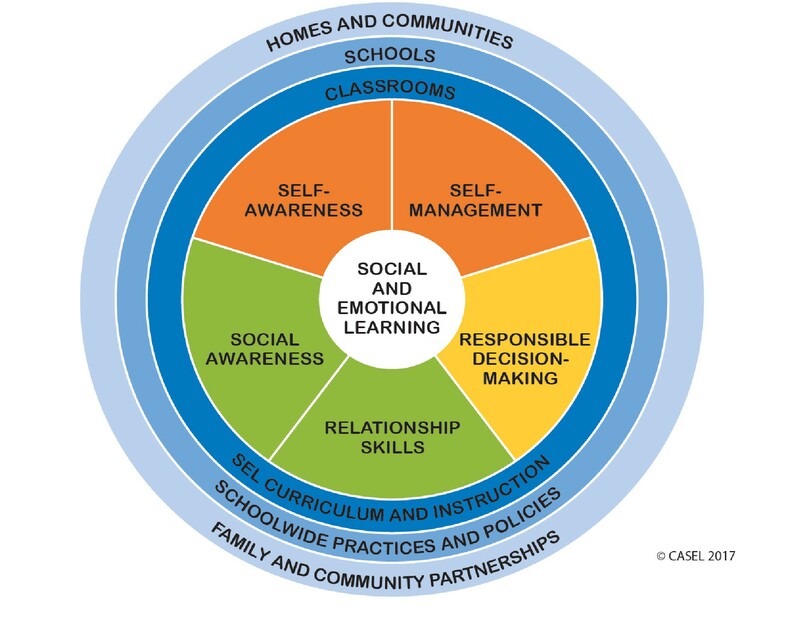 Teaching for these capabilities—social-emotional learning—is key to ASCD's Whole Child approach, and groups like the Collaborative for Academic, Social, and Emotional Learning (CASEL) have spent decades identifying central social-emotional skills and competencies. Empathy, emotional intelligence, self-awareness, "grit," self-regulation—the list of what SEL lessons and approaches teach kids is lengthy and compelling, and not just for kids. But the calls are also increasing because of the research base on the effectiveness of SEL programs. Studies show that well-designed SEL programs can increase students' academic achievement and improve their life outcomes. Higher odds of getting a high school diploma, a better shot at college, and even a lower likelihood of arrest—all are correlated with exposure to solid SEL instruction. Amanda Nickerson's research finds that approaches to curbing bullying that strengthen SEL competencies are more successful. Strategies to regulate emotions can help teachers, too. So how to fulfill that promise? 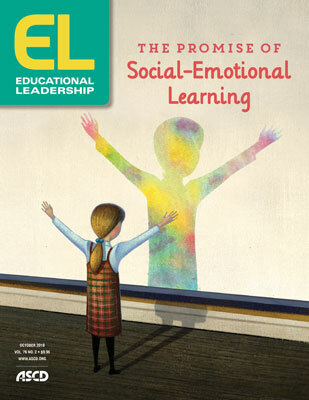 The authors featured in this issue lay out a range of ways to strengthen social-emotional skills and dispositions among students. In our lead article, director of the Yale Center for Emotional Intelligence Marc A. Brackett discusses an approach for increasing students' emotional intelligence, the awareness that all emotions can be helpful if we tune into them and use them wisely. Knowing one's own emotions, Brackett and others note, is a building block of empathy—the quality that parenting expert Michele Borba explores in depth. Borba explicates nine competencies of empathy, with real-life examples from schools of how to teach for each. As a bonus, this issue provides a short visual learning resource (a serious comic strip, so to speak) elementary teachers can share with their students to spark reflection on empathy. This issue also delves into more hotly debated SEL-related concepts. In an exclusive interview, Angela Duckworth discusses what she sees as misconceptions around her research on "grit," highlights the importance of interpersonal character strengths, and explains why measuring social-emotional skills can be tricky. Richard Weissbourd of Harvard, meanwhile, positions social-emotional learning as a key part of confronting the problem of sexual harassment and misogyny in schools. Our authors agree that improving social-emotional skills isn't a matter of completing an isolated program or following a set of steps. It must be embedded in the day-to-day work of schools and include modeling from adults who've strengthened their own social-emotional capacities. As Carol Ann Tomlinson puts it, "SEL is not a program or a curriculum, but a way to be together". Click on one of the words in blue above to learn more about SEL. Do you care that I'm here? Can I tell that I'm special to you by the way you look at me? These questions speak to me from a personal perspective as a new parent and a partner, underlining how critical our relationships are for cultivating a deep sense of connection. As an educator, I also immediately see how foundational these questions are to creating a sense of safety and connection in the classroom. The degree to which our students feel truly seen influences their well-being and academic engagement. To help our students answer these four questions, we must be fully present and available for them. As teachers, the greatest gift we can offer our students is our presence and our ability to see and accept them as they are. But how can we best provide our students with the gifts of our presence and vision? One of the most powerful ways teachers can cultivate important "habits of mind," such as awareness, attention, flexibility, and intentionality, is to develop a personal mindfulness practice (Roeser et al., 2012). Social and emotional learning (SEL) skills aren't core content, but they're the core of all content. According to the Collaborative for Academic, Social, and Emotional Learning (CASEL), these skills include how to "understand and manage emotions, set and achieve positive goals, feel and show empathy for others, establish and maintain positive relationships, and make responsible decisions." Implementing SEL and teaching character aren't without challenges or debates. There's a lack of consensus about how we measure SEL skills (and whether we should or even can), how technology fits into SEL instruction, and whether you can truly "teach" character. A few things are clear, however: SEL is important, teachers value it, and digital technology is part of our lives. Explore the topics below to learn more about character strengths like empathy, find actionable activities and edtech tools for the classroom, and discover ways to involve families in SEL learning. Thank you to Getty Images, Jen Siska, and Allison Shelley/The Verbatim Agency for American Education: Images of Teachers and Students in Action.